KEEP Shoes sent over this super dope pair of shoes. I'm not a sneakers person but this I love!!! Love the color and the design. It's super comfortable too. Mich could attest to that! (She often steal this from my shoe cabinet to wear hehe). This is from their summer collection. Anyway, I'm finally done with my shoot with MEG! It ended fast and I was able to return 80% of my pullouts. Yey. The MEG team is awesome (can't say the same about the rude model though--I hope I never work with her again :/). Watch out for their July and August issue! :) Thank you Melai for assisting me! And while we're at it, here's the shoot I did with them for their June issue. Thank you Grace for the complimentary copy! Speaking of Bench...they sent me this! 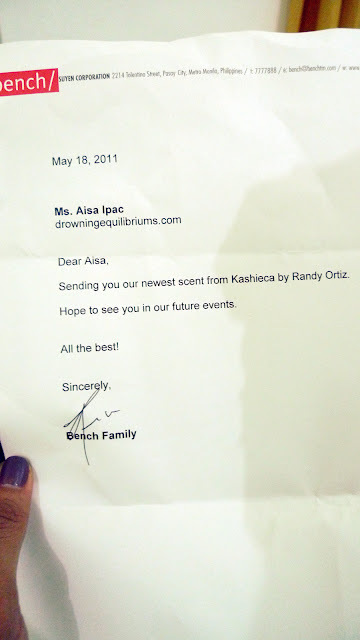 Awww, so sweet:) Love that it's personal and was signed "Bench Family". Shala! Hehe. P.S. Join Chicify x DE giveaway! Click HERE!!! I want ur leggings! Scratch that--I NEED your leggings!!!!!!!!!!!!! i super love your leggings!!! wow! congrats! nice photoshoot! great styling! i like this blog! following! hope you follow back sweetie!pinay blogger here! Great post! 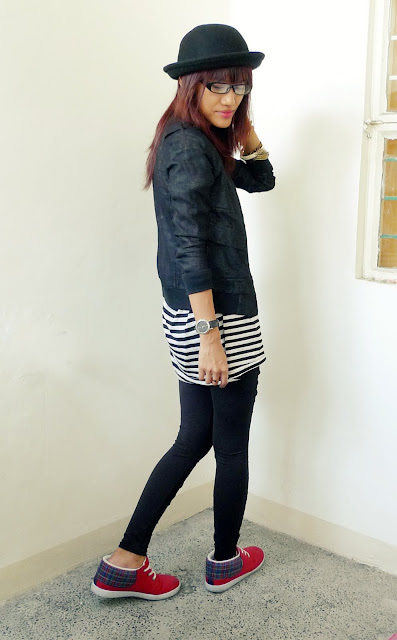 I love the red sneakers- they add that stylish and fun pop to your edgy outfit!